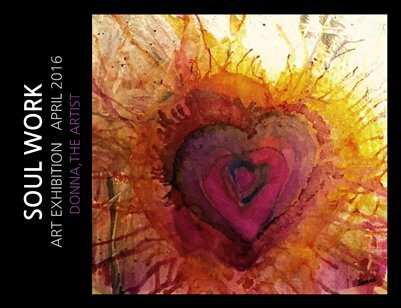 Soul Work is a compilation of art work and stories sharing the artist Donna Fromm's authentic pathway home to her of heart of gold. It reflects the personal journey of honoring and integrating all parts of oneself in the process of individuation. This 30 page wire bound book contains 38 original intuitive art pieces with spontaneous descriptions and heartfelt expression.